Spring has sprung and Earth Day is just a few days away—but who are we kidding? We’re always in the mood to celebrate the planet! Our way of celebrating is with a fresh batch of toys that pack a big punch of creativity and fun, all while looking out for the world we live in. Bring on the Eco-Friendly Fun! Let’s start with everyone’s favorite phrase: “No batteries required!” This robot runs off of his solar panel – but you’ll have to build him first. 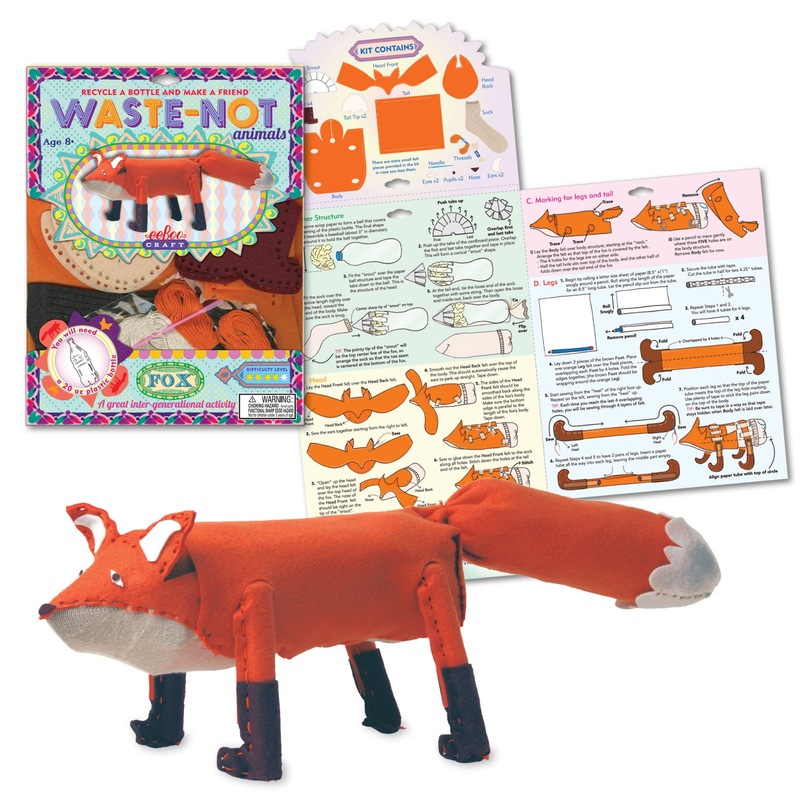 Recycle everyday materials (including the kit's packaging) to use as his body parts (he can be transformed into a dinosaur or monster robot, too), then watch him go! A perfect lesson in engineering and solar power for the older set. 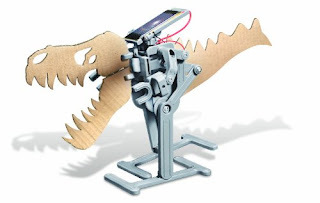 We love how many toy companies are jumping on the recycling bandwagon, and eeBoo is a great example. 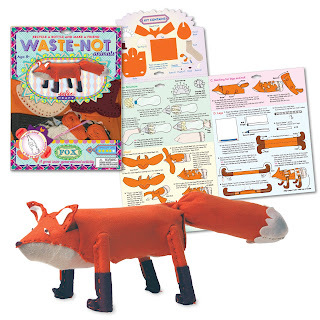 These animal kits use recycled water bottles and yogurt containers as the base of the critters you’ll create – clever AND cute! Art supplies so good you could eat them (because you know your little Picasso most likely will). These fingers paints are made from rice flour and get their color from all kinds of delicious ingredients: carrots, spinach, and red cabbage, oh my! 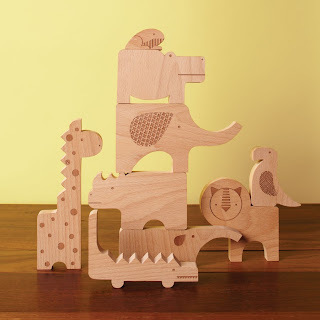 We love the planet and we love all the creatures on it—especially this whimsical family of friendly wooden safari animals. A creation of San Francisco-based Petit Collage (we heart local! ), these FSC-certified beech wood critters are as eco-friendly as they come; your little one will love how smooth they are to the touch, and will have a blast stacking them up on top of each other and lining them all up in a row. 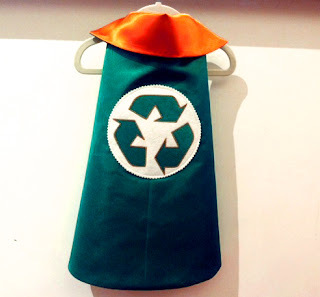 Do you have a budding Planet-Protecting Superhero on your hands? They’ll be so proud to sport a Recycling Superhero Cape! Beautifully made by one of our favorite San Francisco designers (scroll down the blog to read our interview with Baby Leo Designs), this cape says: I’m here to save the day, and the planet too (and I'll look darn cute doing it)! The capes come in two sizes and many more designs – give us a call or stop by the shop for more info. Here's to our beautiful planet, and celebrating it through play!